Comment: I would like to replace 2 windows, in the near future ! Comment: We have an older home. The top pane of the window in our voyer is cracked and ready to break. All the windows in our home are older, but in good shape. Comment: Want an egress window in the basement. Need to know budget before remodel starts. Auburn Window Replacement Companies are rated 4.79 out of 5 based on 91 reviews of 6 pros. 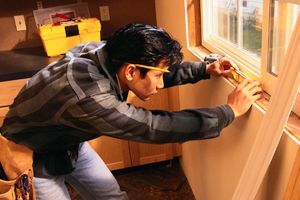 Not Looking for Windows Contractors in Auburn, NY?